Superdry men’s Conor taper jeans. 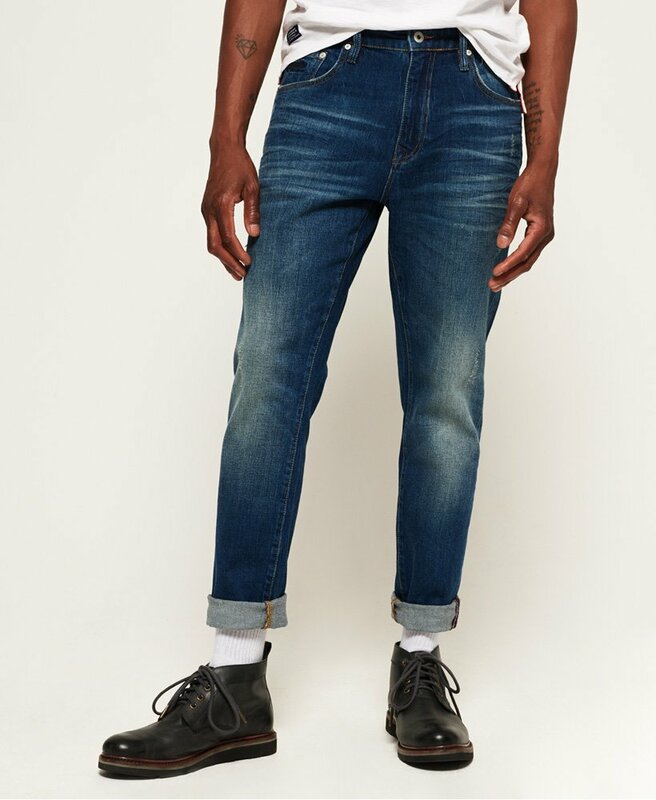 The Conor taper jeans are a great choice if you are looking for extra room in the thigh and seat with a tailored leg fit. Featuring a zip fly fastening, a classic five pocket design and belt loops. The Conor taper jeans also feature an embroidered version of the iconic Superdry logo on the coin pocket, a leather logo badge on the waistband and are finished with a Superdry logo patch on one of the rear pockets.